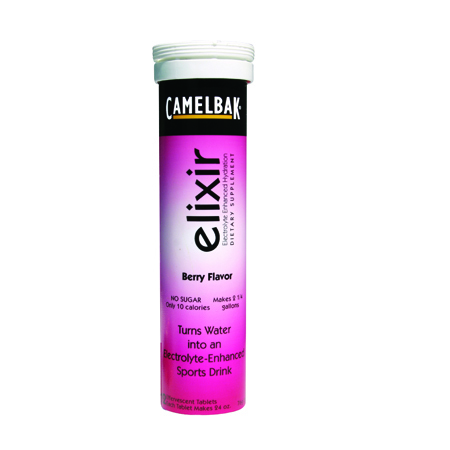 The Camelbak Elixir 12 Tablet Tube Pack has more electrolytes in one tablet than most standard sports drinks. Slip a tablet in any bottle, reservoir, or glass without worrying about leaving a sticky residue to taste for the next five months, because that won't happen. 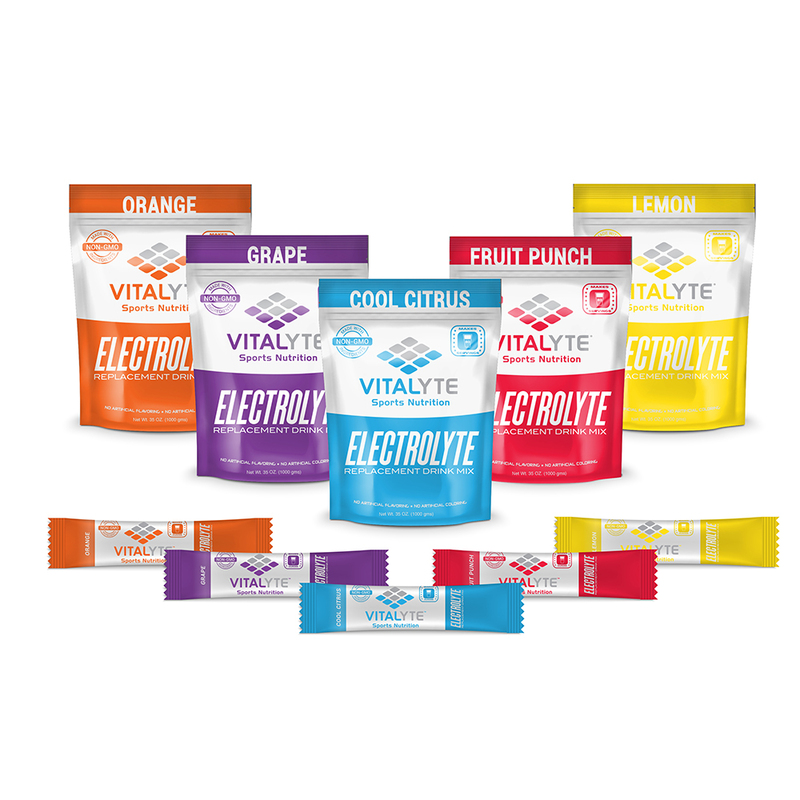 What will happen is you'll chug this sugar-free drink down and get back to your active lifestyle whether you're a runner, climber, trainer, or paddler. 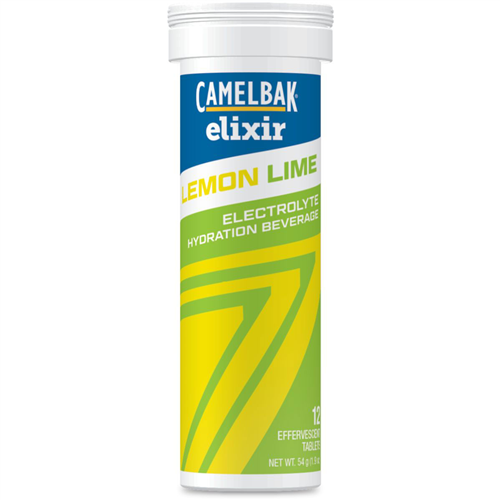 Drop a CamelBak Elixir Tablet into your hydration reservoir or water bottle for great-tasting, electrolyte-enhanced water anywhere. Sugar-free tablets will not leave any sticky residue, making cleanup of your reservoir quick and easy. 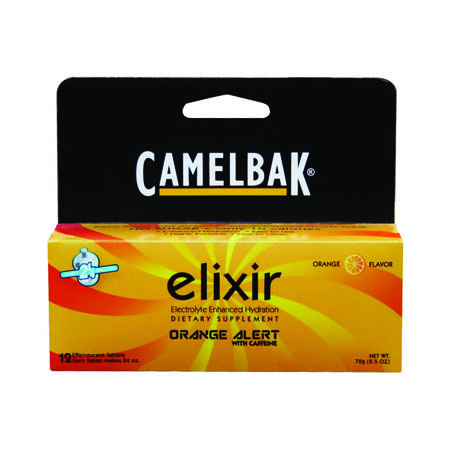 Portable tube includes 12 self-mixing, effervescent tablets. 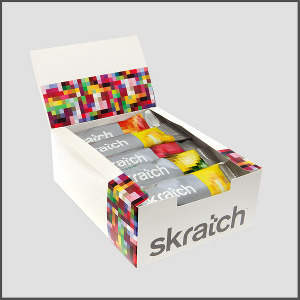 Use one tablet for every 16 oz. of water. 10 calories per tablet. 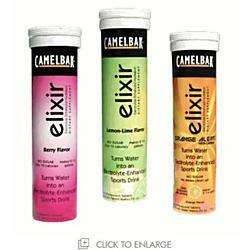 Flavors: Lemon Lime, Raspberry Lime, Tangerine Orange with Caffeine. Color: Orange. 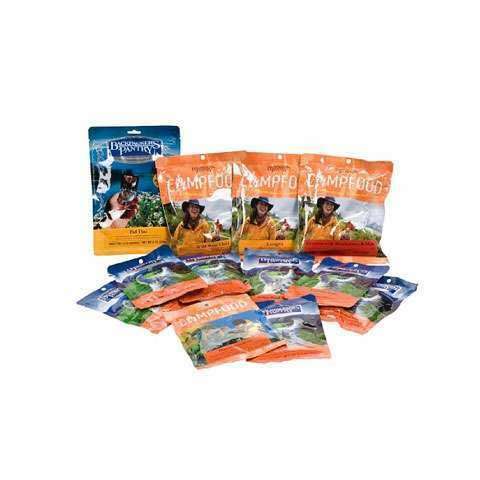 Type: Pack Accessories.